The Walking Dead season 4 premiere will be on October 13th, as we finally got word following the season 4 comic-con trailer. The fourth season of the highly successful AMC television series begins again this October at its normal 9:00 PM EST time slot. Season 4 will have some changes, which I think is going to be good to keep it fresh. We all know about the deaths from season 3, the war with The Governor, and the collapse of Woodbury, but there are some other things that should be noticed. There are some new characters that will be coming such as Bob Stookey, Laura, Don, and Melody to name a few of them. The 4th season will also not focus so much on the battle between The Governor and Rick’s group as it was in season 3, and there will be a big time jump as well. 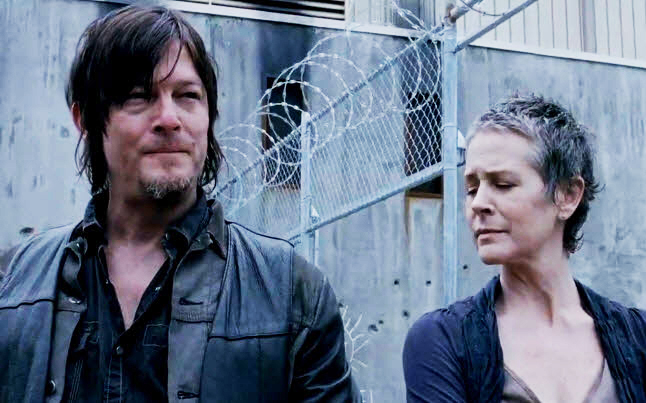 According to Robert Kirkman, we can expect changes and an overall change of the story line. I think this is going to be great, as I don’t want them to wear out the show by continuing the same old story season to season. We only have a few more months to go until we get our favorite show back, The Walking Dead. If you happened to miss the comic-con trailer, here it is again for you.